The White House counsel's office started an investigation into private email use earlier this week in the wake of the news that Jared Kushner and several other senior White House officials had used private accounts to conduct government business, Politico reports in partnership with the nonprofit watchdog, Project on Government Oversight, citing "four officials familiar with the matter." Why it matters: The probe was launched to determine if any of the emails sent are related to the Congressional and Special Counsel investigations into Russian interference in the 2016 election. Government officials are supposed to use their government emails so their communications are stored, and for security purposes. A White House spokesperson declined to comment for Politico but said staff should "fully comply" with the Presidential Records Act. Per Politico, the probe could take weeks or even months. 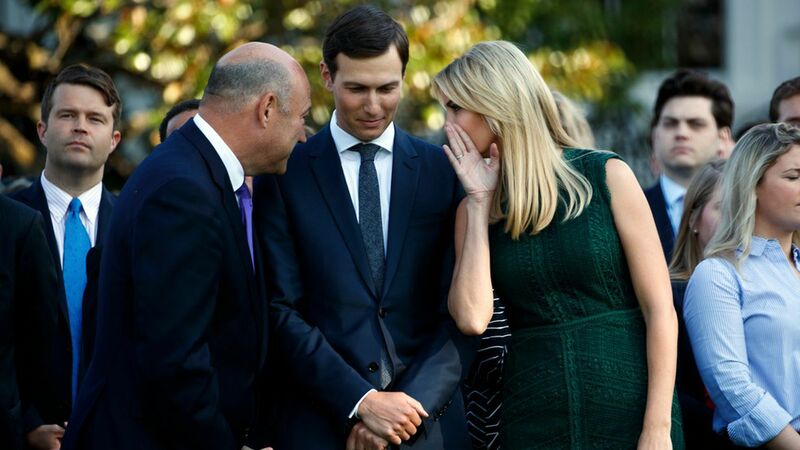 The officials listed: Jared Kushner, Ivanka Trump, Gary Cohn, Stephen Miller, Steve Bannon, Reince Priebus, per the NYT. Politico reports the particular focus of the probe is on Kushner and Ivanka.